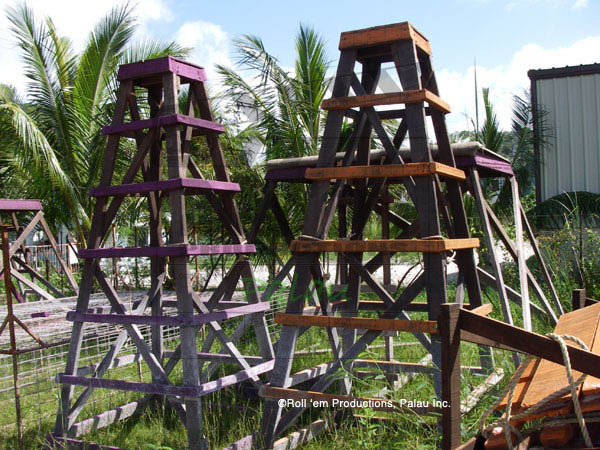 In September of 2007 the crew of more than 200 accompanied by 80 forty foot containers began arriving in Palau to build reality. Over the next 6 weeks workers would convert an empty waterfront lot located next to a luxury hotel into the Survivor Micronesia camp. 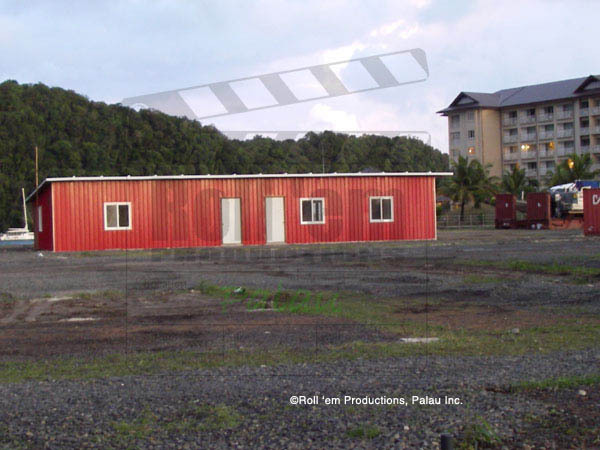 in Total, the four months in Palau will once again transform this mellow island into a bustling production facility and bring millions of dollars into the local community. Even though the show was shot almost entirely in Palau, a few charter flights to neighboring island nations would allow SEG to name the show "Survivor Micronesia Fans Vs. Favorites" instead of something repetitious like "Survivor Palau 2". They have done it before with Panama and the Pearl Islands. The sad part for Palau is that when curious viewers of Survivor google the show, they will enter Micronesia and receive information on the Federated States of Micronesia instead of Palau where the show was actually filmed. 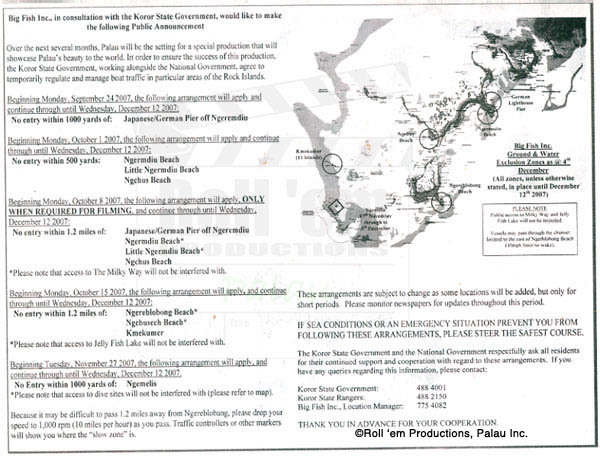 All those promises from Big Fish and SEG to promote Palau quickly disappear, poor negotiating on Palau's part. Down the street the art department creates the challenges and sets while a helicopter pad is constructed next to Roll 'em Productions. The French made Eurostar with a Wescam mount will be used to capture Palau's stunning beauty from the air and also to tape the show opening as host Jeff Probst hangs from a red and white bell 400 helicopter at the beginning of episode 16. For the wide aerial shots doubles, know as the dream team who act as stand ins for challenge rehersals, will dress in duplicate wardrobe and renact the actions of the actual survivors. 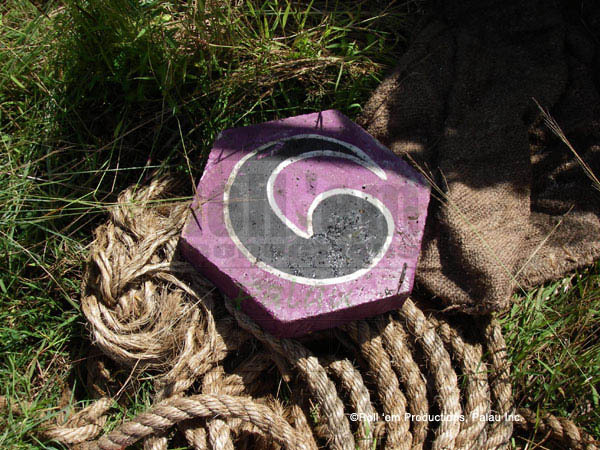 While the last episode of Survivor was based on a World War II theme, this season will revolve around the a traditional island warrior theme. 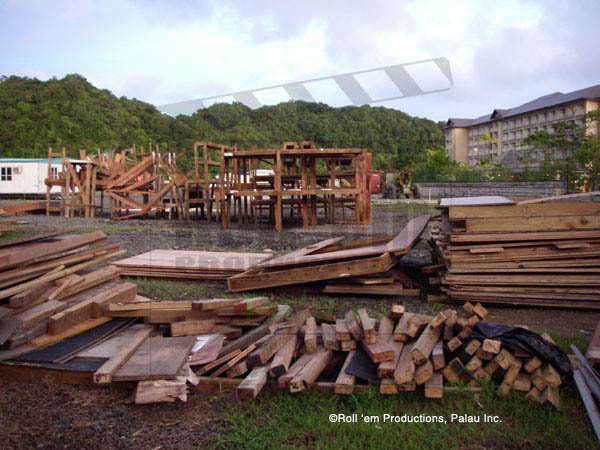 As construction on the Tribal Council begins,the production team heads out into Palau's many islands to disassemble summer houses, clean beaches and build challenges. Surprisingly the locations are spread across many islands and include many beaches used by hundreds of tourists daily. Despite the inconvenience created for locals, tour operators and other film crews. this second Palau episode is welcomed by the community at large. 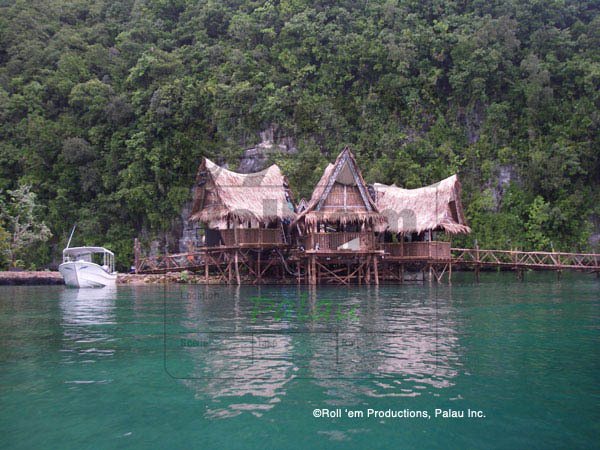 During the 3 months in Palau Survivor will employ hundreds of locals, hire dozens of boats and vehicles, fill many hotels and consume all the food and alcohol Palau can provide. The visiting crew, which is seemingly dominated by Australians, is a strange mix of professional television personnel and others which Survivor has picked up along the way. Students, surfers, construction workers and painters are hired in the locations survivor travels to and the lucky ones may move on with the show. The aura of the show is a different one, part film set, part surf camp and part fraternity. In the Palau state of Airai, local craftsmen revive an old war canoe with fresh paint and attach a coconut painted like a severed head to the outrigger. In Koror the welding shop blazes with sparks crafting the items the show needs but can not buy on island. The grocery stores wrestle with trying to keep fresh vegetables on the shelf while the hardware stores sell out of even basic items such as nails. Back in Los Angeles the contestants are going through rehearsals and wardrobe fittings where costumes are selected which represent the personalities of each contestant and allow the viewer to witness the expected weight loss to occur over the forty days of production. Soon they will board continental Airlines for the 24 hours of travel that will land them at the Palau International Airport in late October. After a couple of days for recovery, production will begin as the survivors, some new and some returns, make their way to the 2 tribal camps located on Ulong Island and Ngereblobong Beach. 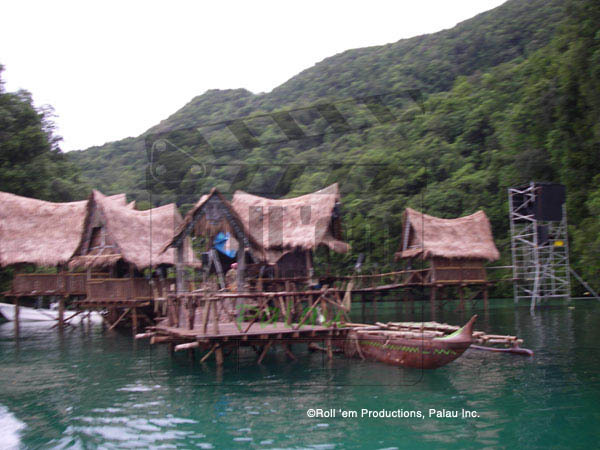 Interestingly Ulong Island is the same site as a tribal camp in the earlier Palau episode. 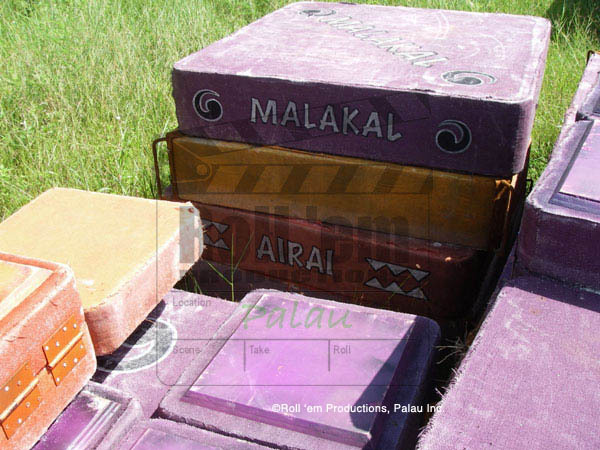 The 2 tribes eventually named Malakal and Airai would be located quite far from each other. The camp located on Ngereblobong Beach sits in a cove where at low tide the beach is in accessable by boat. The solution is to build a crooked wooden walkway from the camp out to the deep water. Up in the state of Ngarrard, North Beach Cottages are being stocked with all the things a survivor needs after they are voted off at Tribal Council. The private bungalows at North Beach will slowly fill with the first eight loosers before they are all shipped off for exotic vacations half way through the show. The second half of the survovors who participate in Tribal Council will take an hour van ride every third day to the base camp in Malakal and then on to a boat for the 10 minute ride to German Dock where Tribal Council has been constructed. While at North Beach the survivors are kept inside the resort, however life is good with a private beach and an army of production assistants to cater to their every need. Check back for more of the full Survivor Micronesia story. 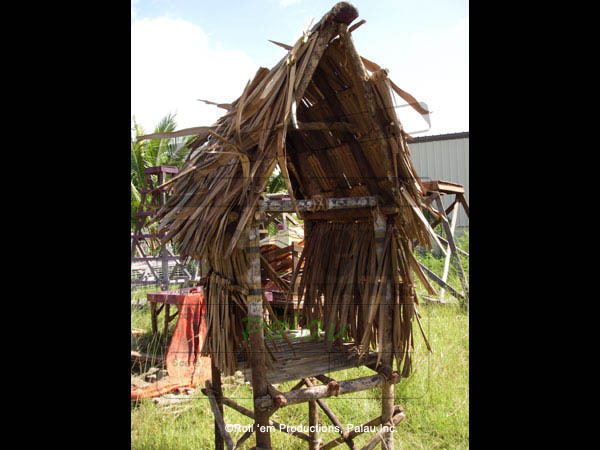 This hut was constructed in the area named the "Eleven Islands" as part of a challenge. 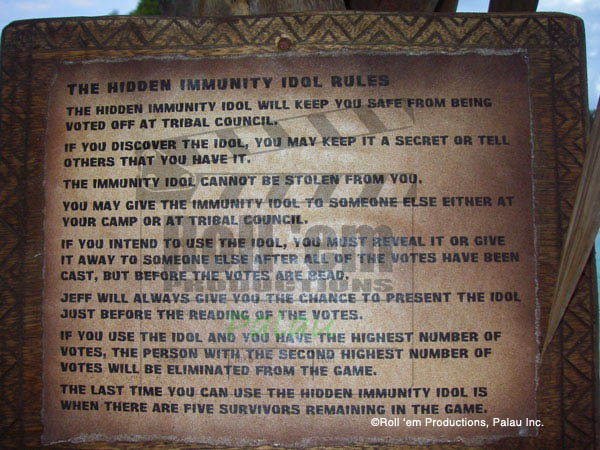 The hut contained this clue, which is a map of the "Eleven Islands"
The hut also contained these rules of the game discussing the immunity idol. Part of a giant puzzle challenge. Guess what fits over the pins? 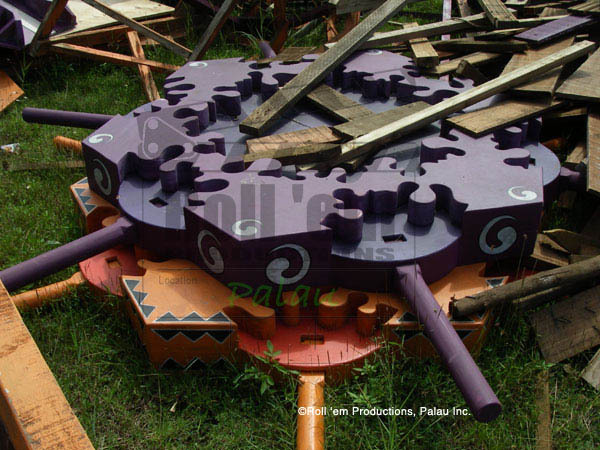 When production is finished, the props and set dressing from the challenges are destroyed. The design is similar to the traditional men's meeting house called a Bai. Props from a Challenge waiting to be destroyed. 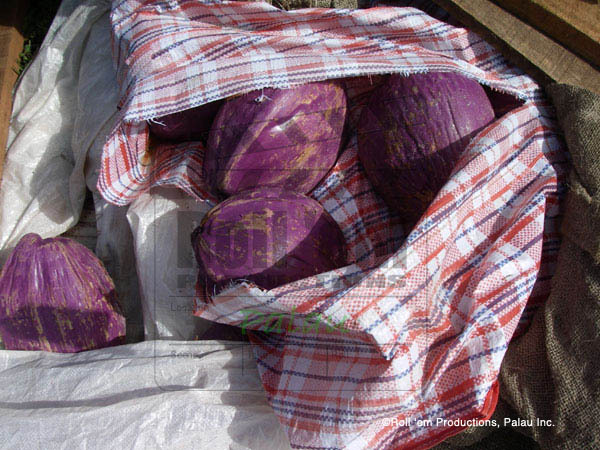 Palau does not have purple coconuts. These pieces are made from molded concrete. 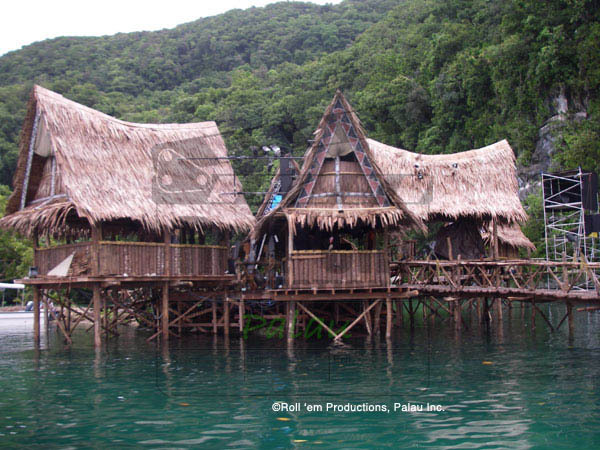 Tribal council was constructed at a location known as German Pier, the same location as in Palau episode 10. Electric, audio and camera cables run under the set. A command center is located further down the stone pier which houses the monitors and switching equipment. A scaffolding is constructed in the water for lighting. additional lighting is wired throughout the set and gas torches add ambience. Remnants from the disassembly of the camp. The Foxtrot is used for equipment and crew transport and occasionally as a picture boat. Here she sits ready to be loaded onto container ship after wrap. Over 20 cameramen work shifts to capture all the action. The are broken into 2 groups, one for challenges and one for reality. The myriad of scafolding, cranes, support boats and crew are carefully placed to avoid being in the shots. 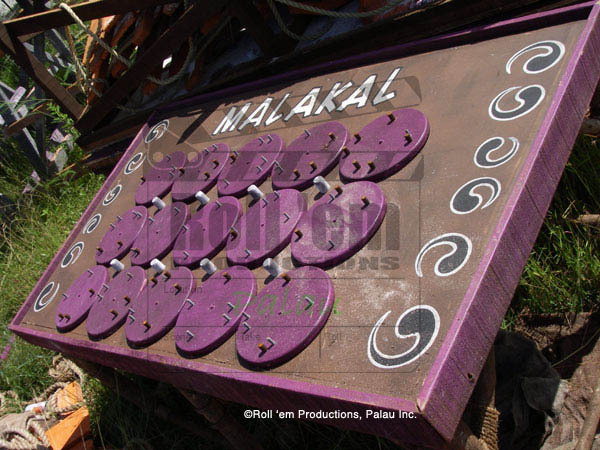 SURVIVOR: MICRONESIA, the 16th instalment of the U.S. television series that was shot in Palau, will air in America beginning February 7, 2008 and run through May, 2008. The show will also be shown to over 100 different countries including Europe and Australia. Unfortunately, Palau, the host country, will not be able to see the television series if Palau National Communications Corporation (PNCC) does not enter into contract with CBS, the carrier TV network of Survivor. 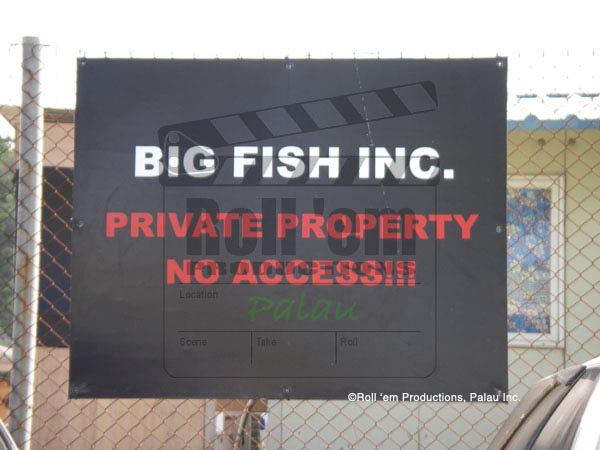 Big Fish Inc. location manager Blake Archer said they were able to complete its filming in 39 days. He said the entire cast and some of their crew have already left the country reducing their number from 250 to 110. Two of their crew members, however, went home on a special plane ahead of the others when they were medically evacuated after an accident that occurred during their off-hours away from filming. Archer said the two are still in hospital in Australia and will be spending several weeks there for medical treatment. Archer said those left behind are mostly crew members in charge in packing their logistics and those working out in the Rock Islands where they were filming to ensure that all are cleared before they will go. Big fish Inc. has donated its leftover dry goods to Belau National Hospital. 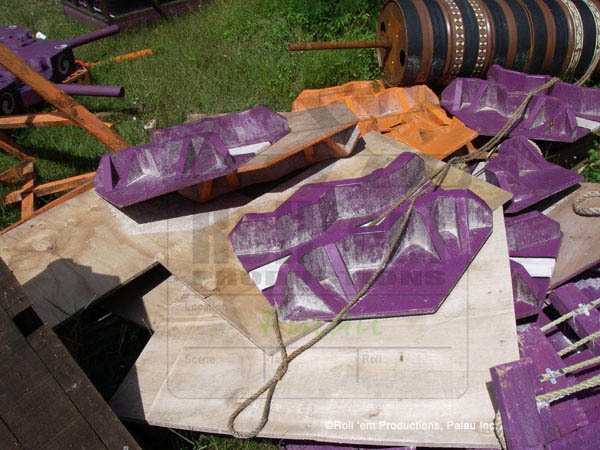 The remainder of their equipment is being packed up and prepared for shipping to the next filming location, which at this stage remains unknown. 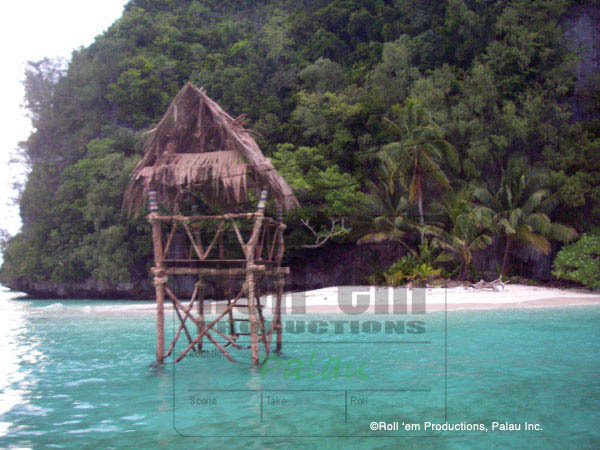 In 2004, Survivor: Palau spent over $4 million in Palau. Archer said he believed Big Fish Inc., had spent a similar amount in 2007. The 2004 Survivor: Palau featured the World War ll history in the Pacific. The latest instalment was themed on the rich Micronesian Culture. Archer is confident that this year’s series will have more viewers as their China series have picked up its ratings. 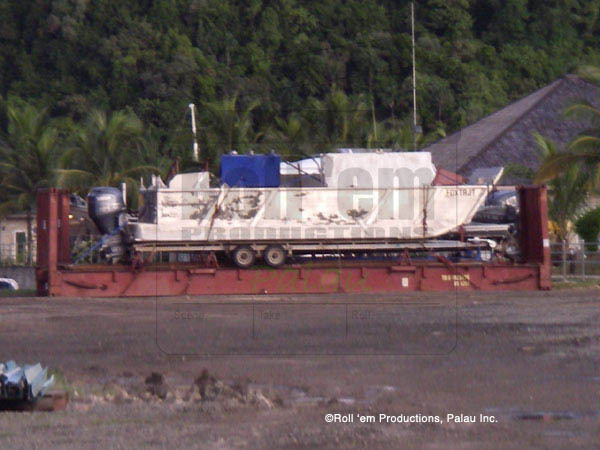 As they are wrapping up to totally leave the country by December 20, Archer expressed their company’s appreciation to Koror State Government for their support and assistance to the production in addition to what the Republic of Palau has extended. Archer also expressed his gratitude to all tour operators and the public for sharing the Rock Islands with them. "We Couldn't have done it without Roll'em Productions"